Beach holidays: Cala Llonga holidays have been built around offering fantastic beach holidays, and what a great stretch of coastline they have too. The water leads into its own little cove, covered on both sides by rocky headlands and a tree-lined hill. Activity-based holidays: The Ibiza national golf course is just three miles away, making Cala Llonga great for golfing holidays. Plus for family holidays you’ve got a fun playground and a nearby water park. There’s also a wide range of water sports available at the beach – everything from windsurfing to waterskiing. Children’s playground: There’s a small wooden playground directly on the beach at Cala Llonga. It’ll provide a good few hours of fun for little children on family holidays, and it’s extremely convenient for when you want to go back to sunbathing if you’re intending on relaxing on your Cala Llonga holidays too! Fairground: Also close to the beach in Cala Llonga is this vibrant little fairground. Your kids’ eyes will light up when they see the dodgems and mini big wheel! It’s another attraction which makes Cala Llonga ideal for family holidays. Road Train: This mini road train is handy for taking you all around Cala Llonga during your holidays, saving the strain on your legs. It also runs between the local holiday resorts on the east coast of Ibiza if you’d like a change of scenery and things to do. The lower price makes it a cheap way to travel too! Golfing holidays: The one and only golf course in Ibiza is just three miles away from Cala Llonga, making the resort a haven for golfing holidays to Ibiza. Created in 1992, the course is still in pristine condition and many of the greens have stunning views of nearby mountains. Aqualandia: These vibrantly coloured slides are set amongst tree-lined mountains. Dare to take the plunge on the super-steep kamikaze chute, or ride the waves on the river rapids. As you can see, there are several activities aimed at children on family holidays in Cala Llonga. Cala Llonga Beach: The golden sand on this stretch of coast is nice and soft on your feet, but the main reason many people choose Cala Llonga for their beach holidays is for the incredible scenery. This deep cove is encircled by pine-covered hills and rocky edges. The hilly headlands keep the winds soft and the waves gentle - ideal for young children to have a paddle. La Casita: Situated in the town of Valverde, close to Cala Llonga, this converted farmhouse has a uniquely rustic charm and the food to go with it. The Austrian chef creates original dishes such as Green Fig Soup and Fruit Curry for a truly special dining experience. Go on, treat yourself to at least one luxury meal whilst you’re on your holidays! Amante: This classy restaurant is nestled within Sol d’en Serra bay, giving stunning views of the endless blue Mediterranean Sea. Luckily, the food itself is just as amazing – Sea Bass Carpaccio, Grilled Chicken with Rocket and Pesto, and Pan Fried Squid with Chorizo. Casa Piedra: Quality food is the star here – the chef has worked in several Michelin-starred restaurants, so even if you’re on all inclusive holidays here it’s still worth sampling the inventive gourmet dishes offered at this eatery. The building itself is small but suitably authentic, with a terraced area for dining al fresco. Drinks on family holidays: Although holidays to Ibiza are well-known for their wild nightlife, Cala Llonga holidays are much calmer and evenings are best enjoyed relaxing with a few drinks. Bar Toni has plenty of space to unwind with an ice-cold beverage, plus they host tasty barbecue events out on the terrace during the summer. Mr Cairos has lots of evening entertainment like singing, drag-acts and dancing, while Up ‘n’ Inn overlooks the funfair and has a swimming pool in the back for cooling off over summer. 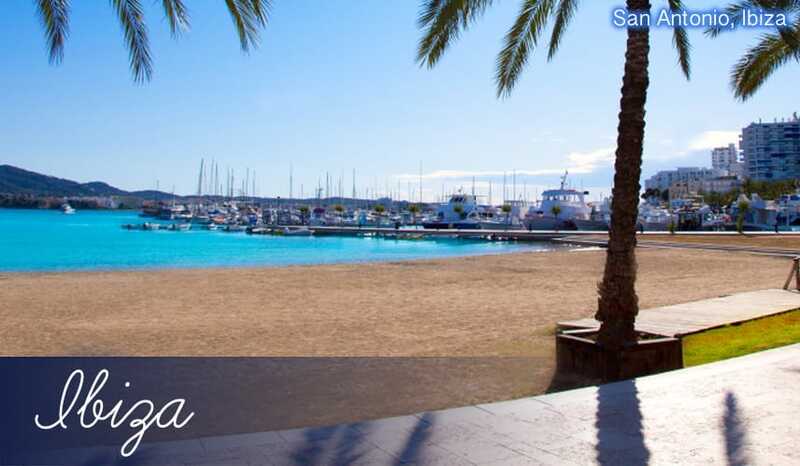 Being out of the central party zones, prices are lower for drinks too, so cheap holidays to Cala Llonga are a real possibility.